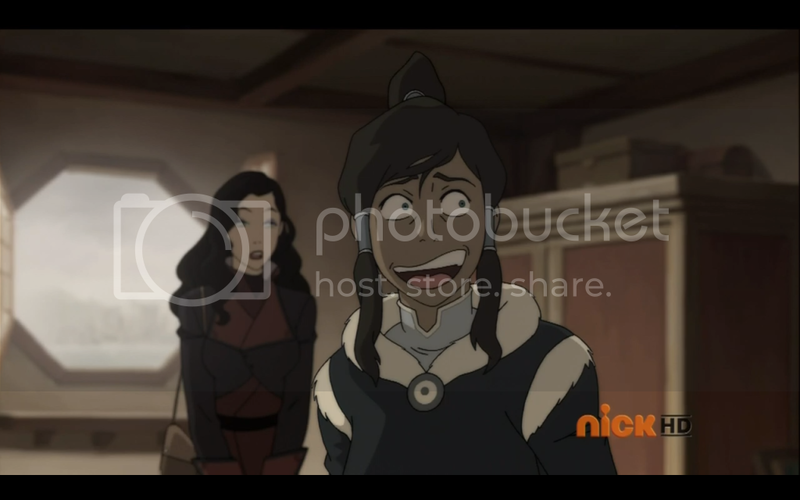 While Korra and the airbender children help Mako, Bolin, and Asami move in, Ikki lets slip to Asami that Korra likes Mako. 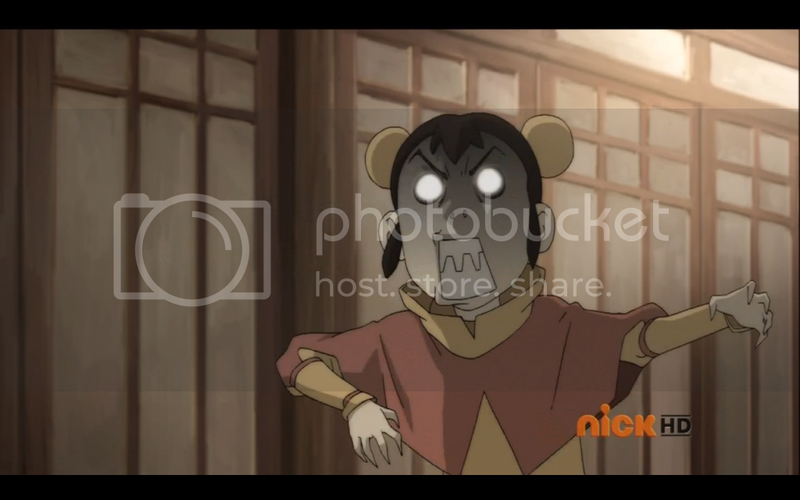 Korra shows Asami to her room, locking Ikki out. Tenzin comes to the room and tells Korra that the new chief of police is being sworn in, and that the two of them should go there. 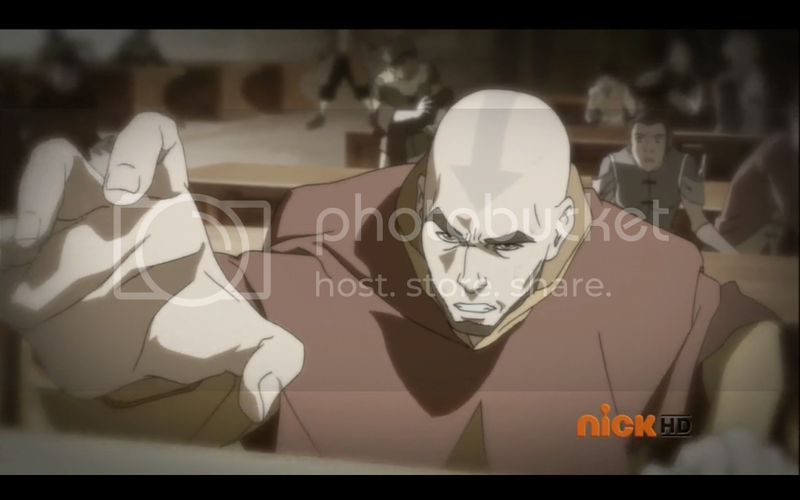 During the chief’s speech he gives full support to Tarrlok, much to Tenzin and Korra’s surprise. After the speech Tenzin confronts Tarrlok about his underhanded methods. Tarrlok denies having done anything and asks Korra when she’ll be rejoining his task force. Korra refuses, having changed her opinion of Tarrlok. 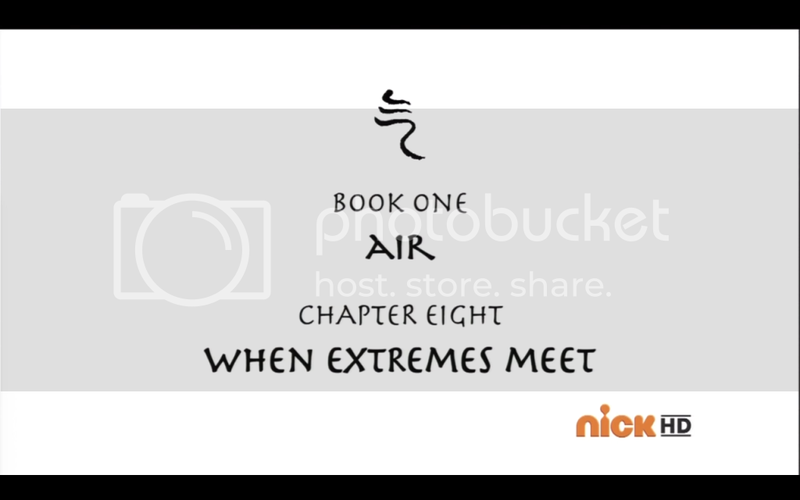 He taunts her about being unable to learn airbending. On the way back to the temple Tenzin says that Aang had help from his past lives, and asks Korra if any of her past lives have tried to get in contact with her. She says that she’s been seeing what she though were hallucinations of Aang. Tenzin says it might be Aang trying to get in contact with her. Make contact dangit! We’re all waiting for it! 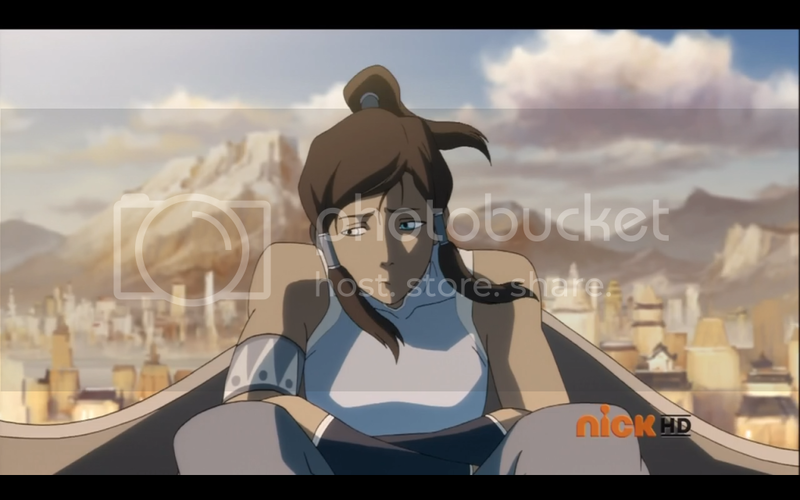 Back on the island, Korra is found by her friends, who try to cheer her up by giving her their support. They form the new team Avatar and go out to patrol Republic City. They come across a convoy of chi-blockers and Equalists, who they take down. 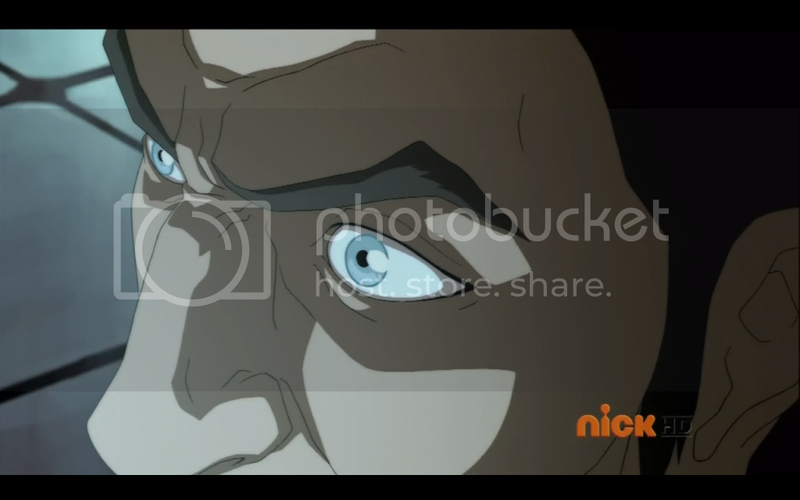 Tarrlok arrives at the scene and tells Korra to stay out of his way. Tarrlok is able to pass a new law making it illegal to be an Equalist, or be associated with one. He also instates a curfew on all non-benders. Korra and gang hear about an armed Equalist rally, on the police scanner, but when they arrive they find it’s just normal people who are protesting their power being shut down. 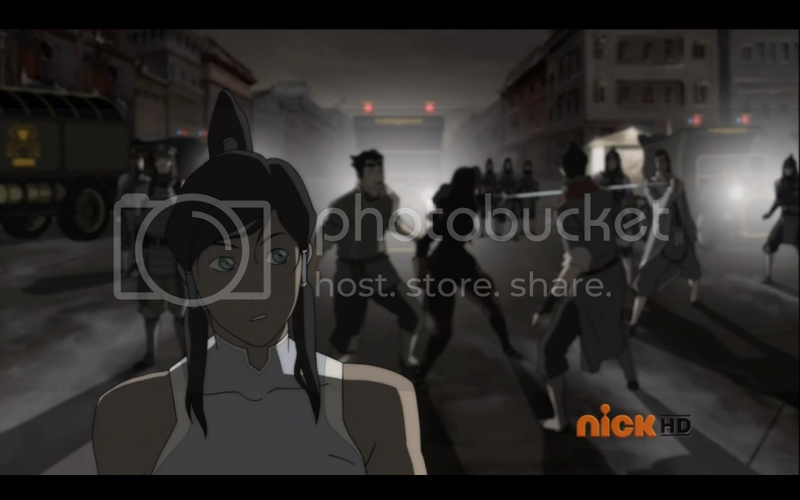 Korra tries to get Tarrlok to leave them alone, but several people are arrested, along with her friends. Tenzin meets Korra at the police station, and the two of them try to get Korra’s friends released, but Chief Saikhan refuses to let them go. 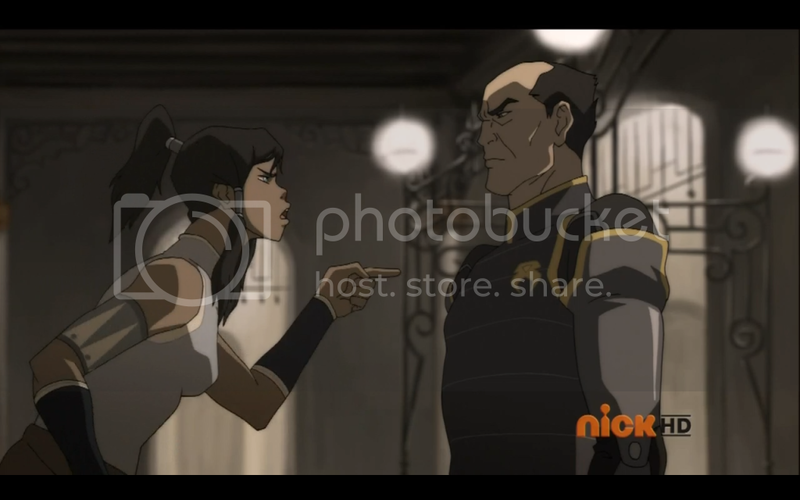 Korra takes Naga and confronts Tarrlok in his office. 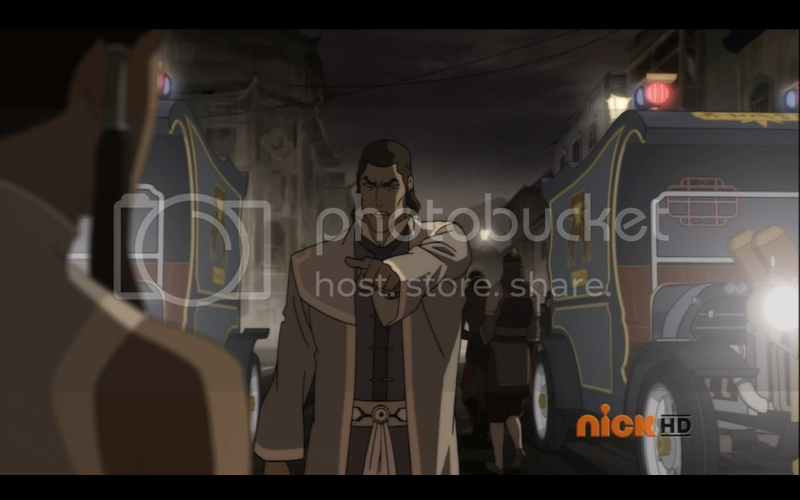 She talks with him, telling him that he’s doing exactly what Amon is saying benders do. 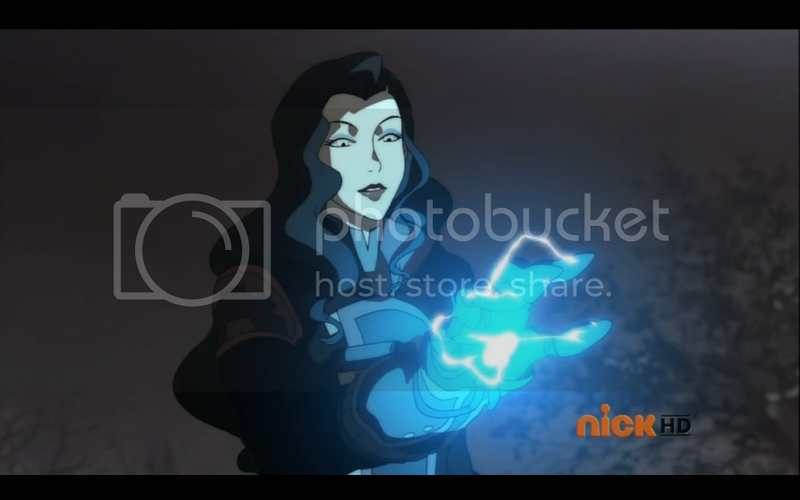 Tarrlok accuses her of coming with intentions to intimidate him into letting her friends go. He tells her that if she joins him, he’ll let her friends go. She refuses. Tarrlok attacks, and thanks to Korra apparently being the worst waterbender ever, he looks like he has the upper hand for a while. 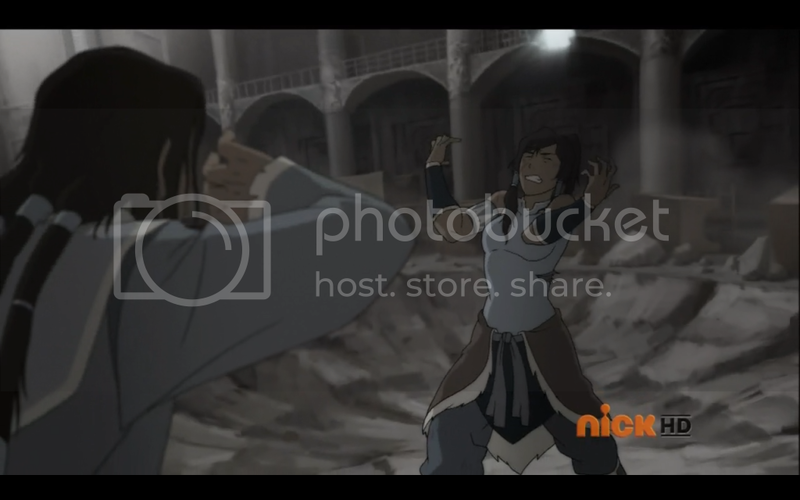 Then Korra uses Tarrlok’s wall to knock him out of his office. 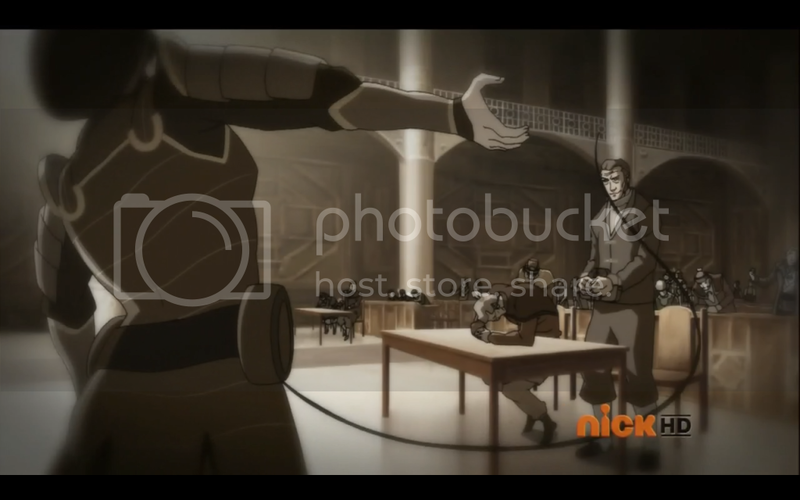 He manages to hang on to the railing, but Korra knocks him down into the council chambers. She starts to blast him with fire, but he uses bloodbending to take over her body. Helpless, Korra is knocked out, leading her to seeing more flashbacks to Aang’s past. She sees Sokka looking scared, Toph trying to bend, but apparently under the influence of bloodbending, and Aang trying to reach Yakone, who is apparently the bloodbender. 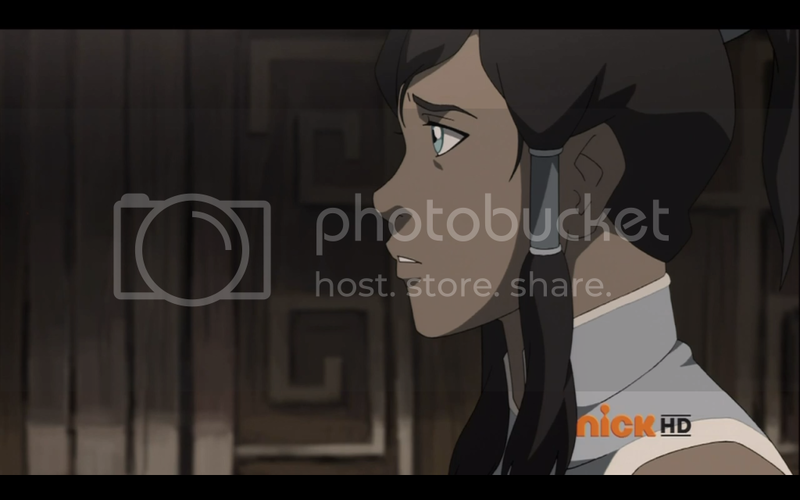 Korra wakes up in time to see Tarrlok locking her into the back of a truck. I’ve never minded the heavy anime influences Avatar: The Last Airbender would delve into. But even I can’t help but be bothered by some of the faces made this episode. Korra’s shocked face was a bit much, and would have been fine on its own, but immediately followed by Ikki’s demon cat thingie face the whole segment was a bit much. It was funny, but felt out of place. I was a bit confused at Korra suddenly hating Tarrlok since the last time they interacted they’d seemed on good enough terms. 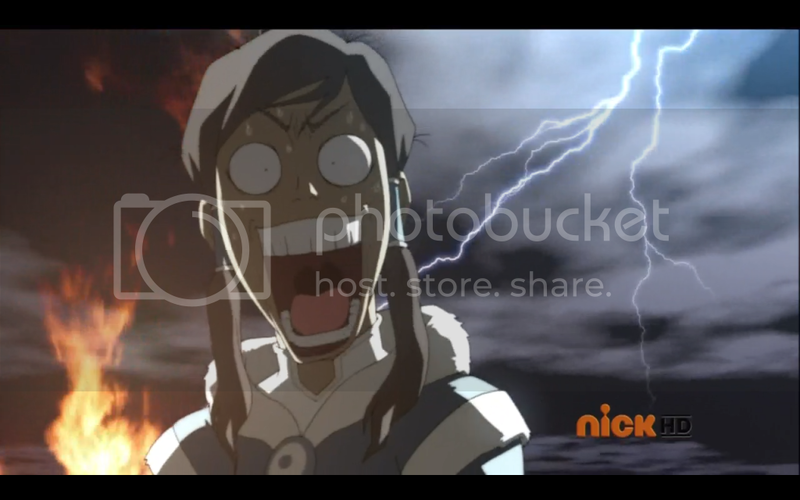 But I suppose what happened was Korra is angry at Tarrlok for getting Lin fired. But that is me coming to that explanation myself, it’s never explained or even implied during the episode why exactly she hates him now. Tarlok’s reveal to be a bloodbender is both interesting and confusing at the same time. It’s interesting because of the obvious connection between him and Yakone, though we still need to learn what exactly Yakone’s deal was. 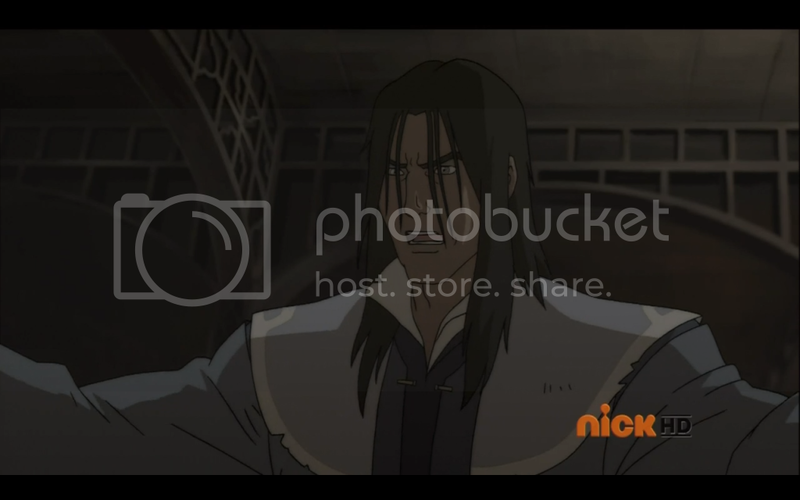 It’s confusing because…well, where did Tarrlok and Yakone learn bloodbending? As far as we know there have only been two bloodbenders. I’m pretty sure Katara would never have taught it to anyone, and I don’t think Hama would have been capable of teaching anyone. What with being in a firenation prison again and the fact that I don’t think she would have lived for much longer after being released. If she was released. The only place it makes sense is with the metalbenders. Because Toph specifically taught them. Overall the episode was very good. I enjoyed the action scenes, and Asami learning that Korra has a thing for Mako could lead to interesting developments down the line. Bolin was amusing, without being quite the buffoon he was last episode. The children were all incredibly entertaining, with Meelo actually getting the best line of the episode. A beautiful woman with a dangerous weapon. This episode has everything you need. I hope Tarrlok goes to give a speech and gets carried away by a giant bird. And poops his pants. So you're hoping for a subtle and nuanced climax for his story.